The Celebrate People’s History (CPH) posters are rooted in the do-it-yourself tradition of mass-produced and distributed political propaganda. They are detourned to embody principles of democracy, inclusion, and group participation in the writing and interpretation of history. In dark times, it’s rare that a political poster is celebratory, and when it is, it almost always focuses on a small canon of male individuals: MLK, Ghandi, Che, or Mandela. Rather than create another exclusive set of heroes, curator Josh MacPhee decided to generate a diverse set of posters that bring to life successful moments in the history of social justice struggles. To that end, MacPhee asked artists and designers to find events, groups, and people who have moved the collective struggle of humanity forward in order to create a more equitable and just world. The resulting posters tell stories from the subjective position of the artists, and are often the stories of underdogs, those written out of history. The goal of the project is not to tell a definitive history, but to suggest a new relationship to the past. Today the CPH posters grace the walls of dorm rooms, apartments, community centers, classrooms, and city streets. 115 different designs have been printed in the past 20 years, adding up to over 300,000 total posters. Although MacPhee has organized and funded the posters himself, they have always been a collective project. Over one hundred artists and writers have created posters, multiple printshops have done the printing, dozens of people have run around at night pasting them on the street, and thousands have helped distribute them around the world. 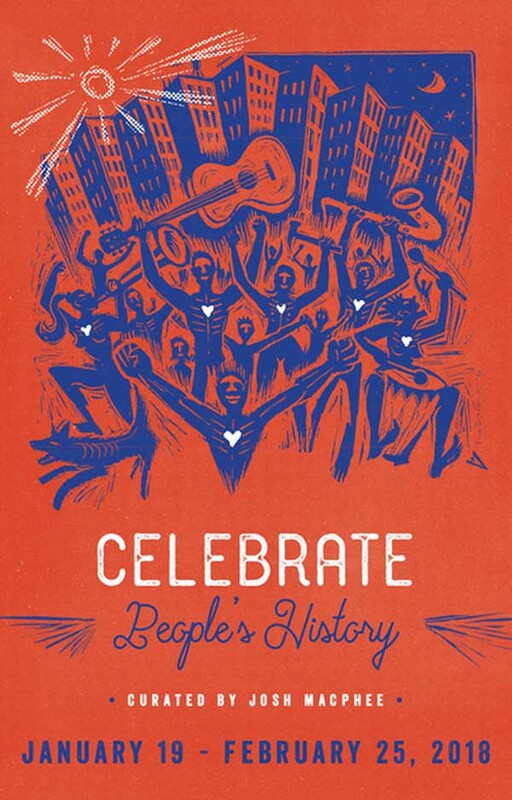 The Celebrate People’s History Poster Series has been organized and curated by Josh MacPhee since 1998.